Srinagar: A militant commander of Lashkar-e-Taiba was killed in a brief gunfight at Chakoora area of Litter in south Kashmir’s Pulwama district on Wednesday. A joint team of Army, CRPF and SOG cordoned off the Chakoora area of Litter. Soon, the joint team of forces fired several gunshots amid the cordon, leading to an encounter. 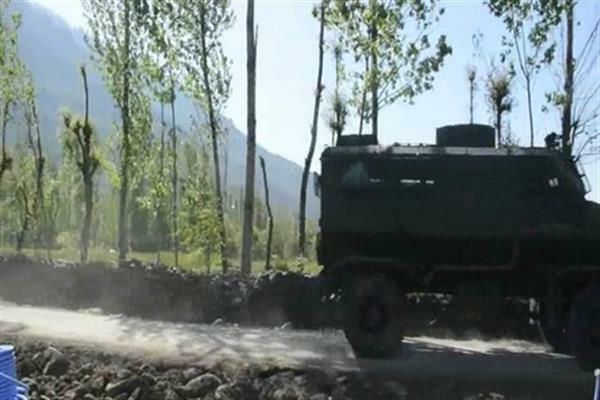 In the brief exchange of firing, one militant was killed and a body was recovered from the encounter site along with a weapon. The slain was identified as Irfan Ahmad Sheikh of Chakoora village. Irfan was LeT commander for Pulwama and was active since last years. A senior police officer said the gunfight broke out between militants and government forces in the area and that one militant was killed. He said the area is still under cordon to trace out the remaining hiding militants. He said the cordon-and-search operation was launched in the village following specific information about the presence of some militants. Following the encounter, youth took to streets and pelted stones on forces. The police and paramilitary CRPF lobbed tear smoke shells and pellets to disperse them.